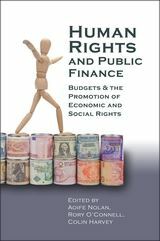 This book is concerned with children's economic and social rights (sometimes referred to simply as children's social rights). Despite increased academic interest in both children's rights and socio-economic rights over the last two decades, children's social and economic rights remain a comparatively neglected area. This is particularly true with regard to the role of the courts in the enforcement of such social rights. Aoife Nolan's book remedies this omission, focussing on the circumstances in which the courts can and should give effect to the social and economic rights of children. The arguments put forward are located within the context of, and develop, long-standing debates in constitutional law, democratic theory and human rights. The claims made by the author are supported and illustrated by concrete examples of judicial enforcement of children's social and economic rights from a variety of jurisdictions. The work is thus rooted in both theory and practice. The author brings together and addresses a wide range of issues that have never previously been considered together in book form. These include children's socio-economic rights; children as citizens and their position in relation to democratic decision-making processes; the implications of children and their rights for democratic and constitutional theory; the role of the courts in ensuring the enforcement of children's rights; and the debates surrounding the litigation and adjudication of social and economic rights. This book thus represents a major original contribution to the existing scholarship in a range of areas including human (and specifically social) rights, legal and political theory and constitutional law. Professor Sandra Liebenberg, HF Oppenheimer Professor of Human Rights Law, University of Stellenbosch Law Faculty. Winner of the Kevin Boyle Book Prize 2012, awarded by the Irish Association of Law Teachers to a book that is deemed to have made an outstanding contribution to the understanding of law. 6. Using the Courts to Advance Children's Socio-economic Rights: Proceed with Caution? “...both a welcome and necessary development and stands as a timely contribution to the existing literature. 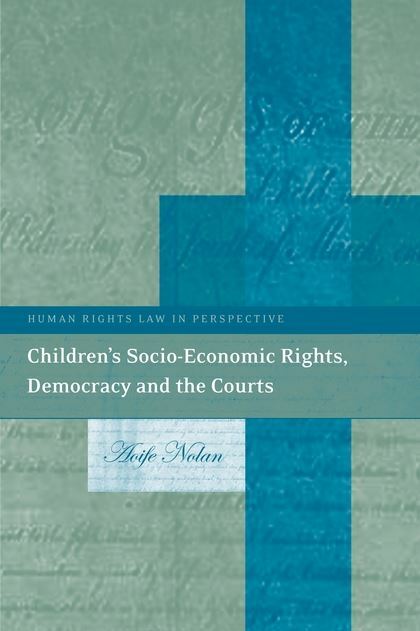 Nolan's work would provide a useful insight to researchers with an interest in constitutional law and theory, democratic theory, judicial theory, children's rights and human rights. Throughout the text, her arguments are accompanied by well-supported examples of litigation from a variety of jurisdictions. The detailed account of litigation included would be of use to practitioners, especially to those from the jurisdictions named within the text (UK, South Africa, India, Argentina, Brazil, Columbia and the USA). Policy-makers and judges would also be well informed by the text. Indeed, it appears the author would hope that the judiciary or policy-makers would benefit from an awareness of the arguments put forward by the book and would be encouraged to be mindful of the benefits of a proactive approach to enforcing children's socio-economic rights when engaging in their respective functions. “Aoife Nolan addresses a crucial and underdeveloped topic in the literature of human rights law: the socio-economic rights of children. In order to support the claim that the courts are not only able but obligated to enforce child socio-economic rights, Nolan provides a thorough analysis of liberal democratic theory, the role of children in democracy, the judiciary's role as guardian of rights, the institutional capacity of the courts to enforce the socio-economic rights, and the implementation of rights-related court decisions. The book is a necessary analysis of the efficacy and legitimacy of judicial action in favour of child rights. Nolan advocates for the implementation of a rights-based response to child poverty, a crucial driver of poor overall health, and in doing so provides a powerful contribution to health and human rights scholarship. Aoife Nolan is Professor of International Human Rights Law at the School of Law, Nottingham University and was previously a Senior Lecturer at Durham Law School.